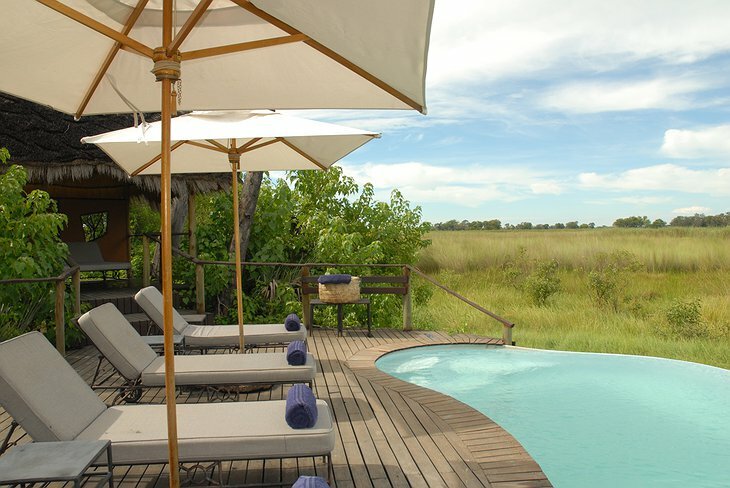 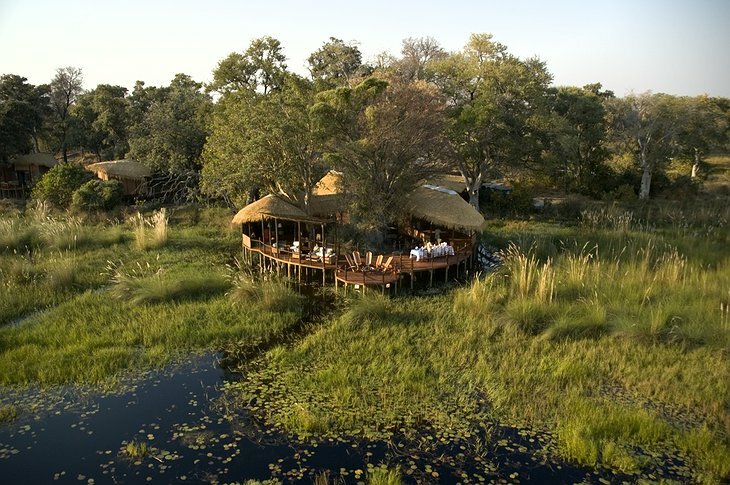 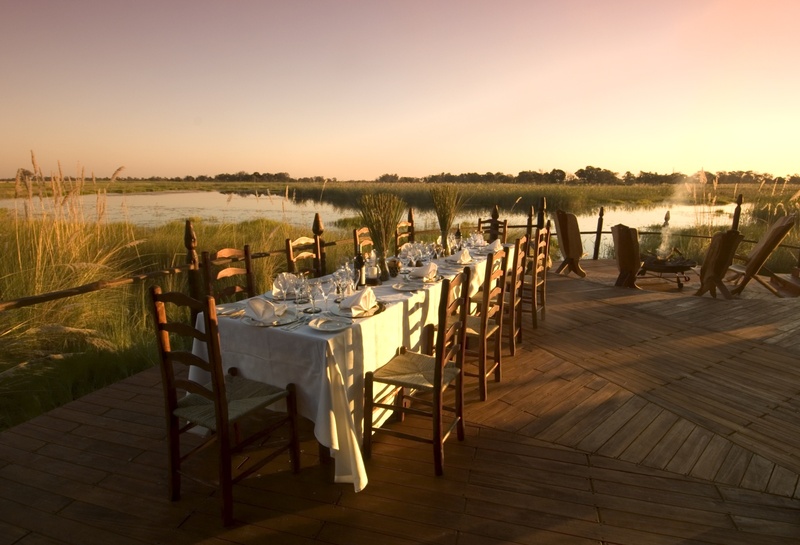 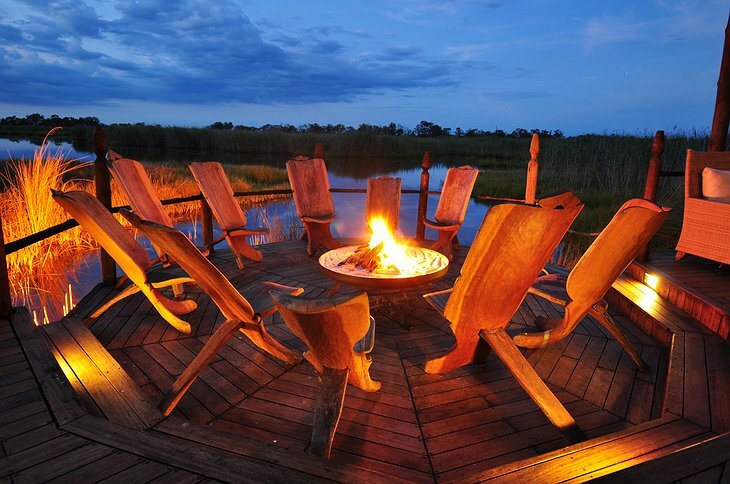 If you are ever in Botswana, Sanctuary Baines Camp is definitely high on the list of places you must stay at before you leave. It is a small camp with big appeal. 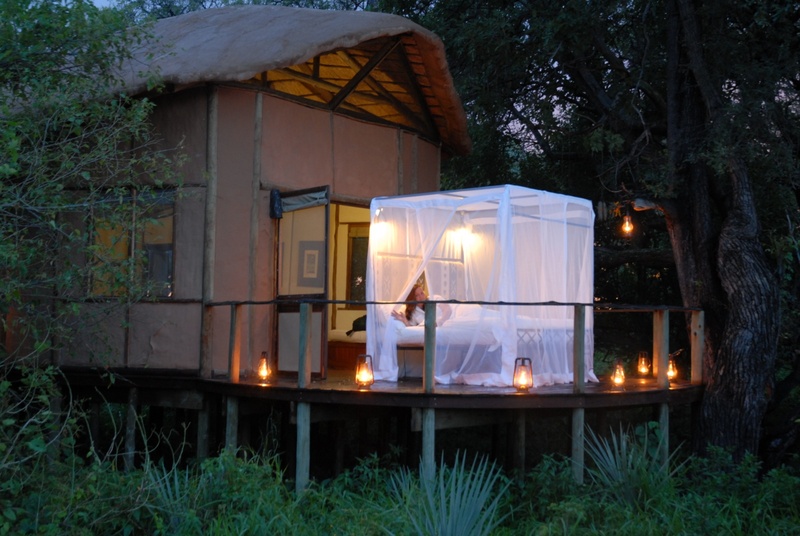 The site only houses 5 luxury suites which helps you retain an element of privacy, and there is nothing like spending an evening in your private suite. 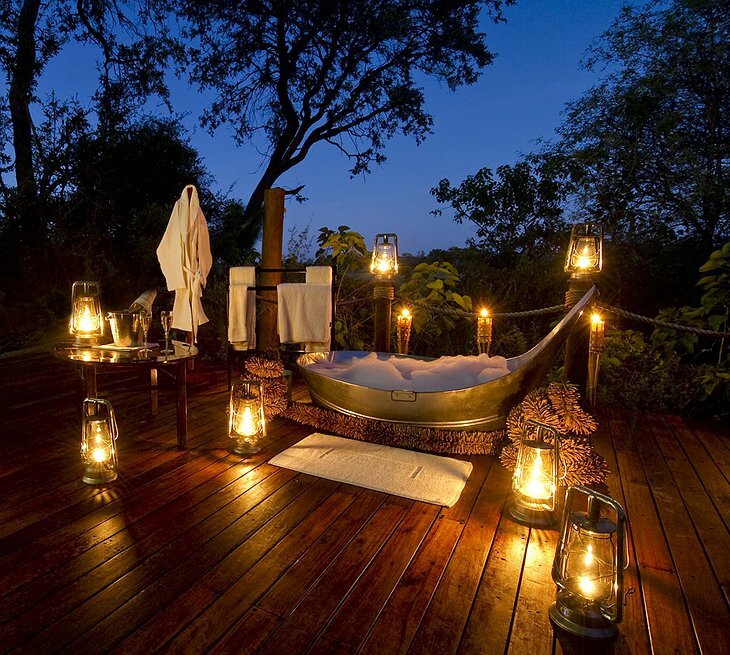 The suites boast open air star baths and sky beds on your own private deck. 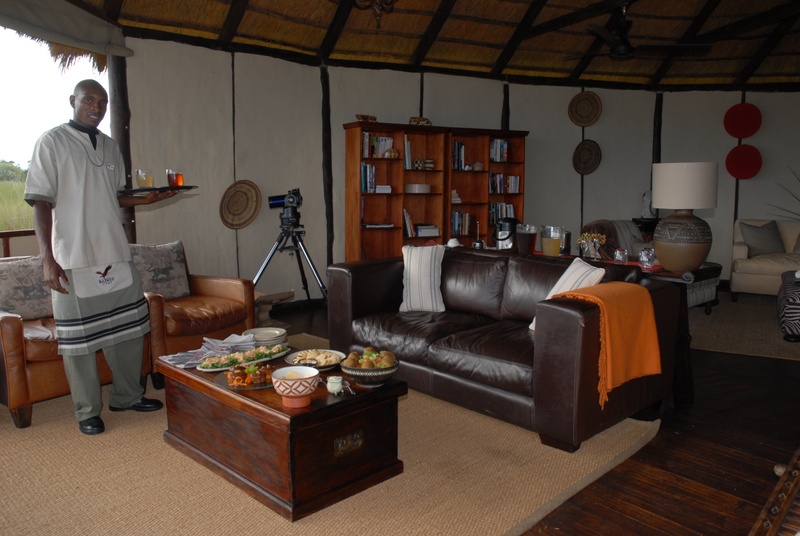 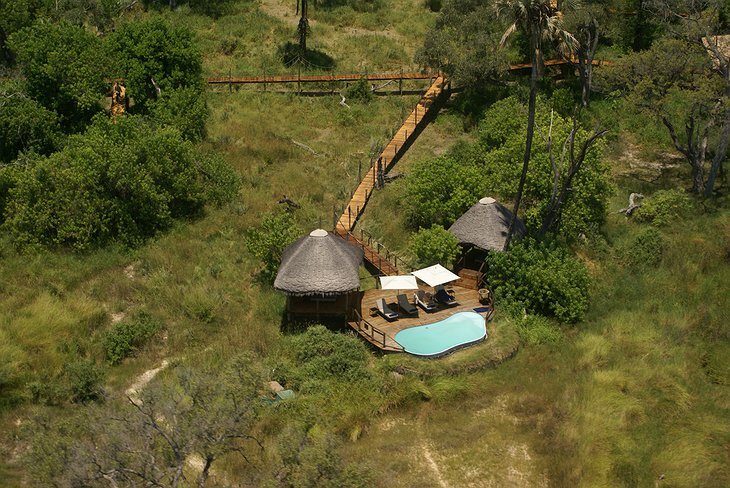 It is located in a grove of trees above the Boro River in a small private concession on the outskirts of the beautiful Moremi Game Reserve. 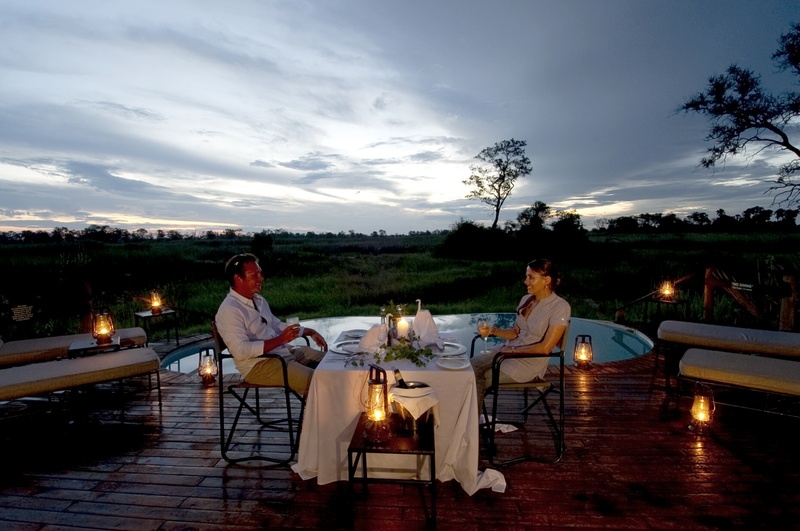 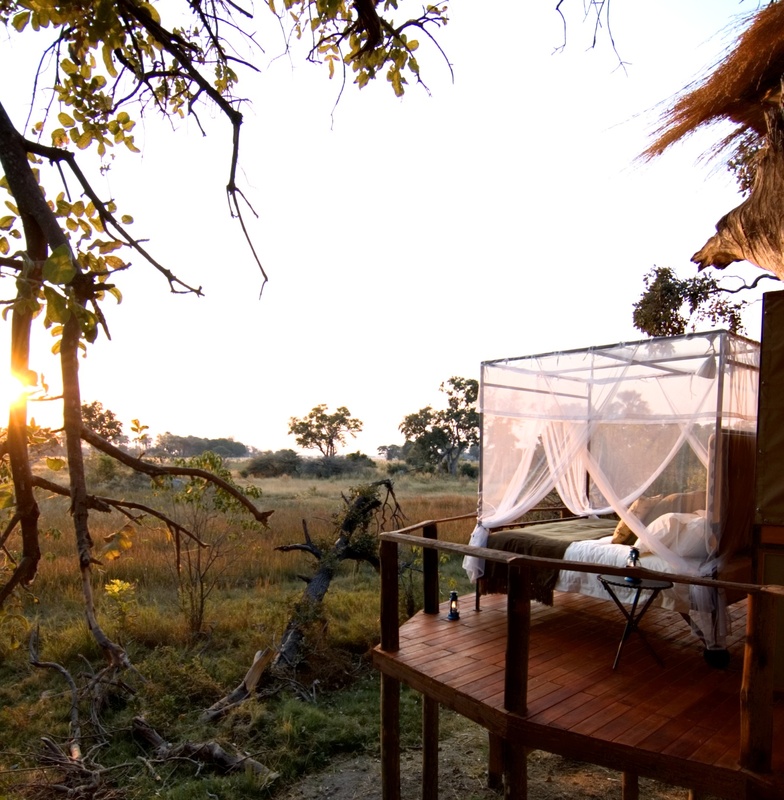 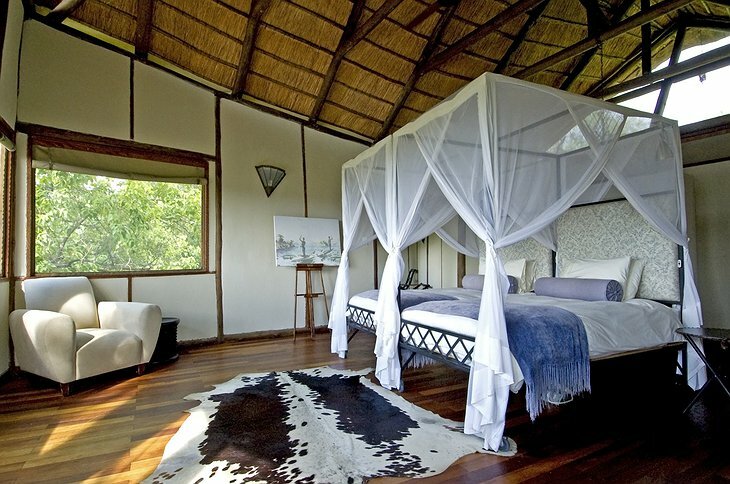 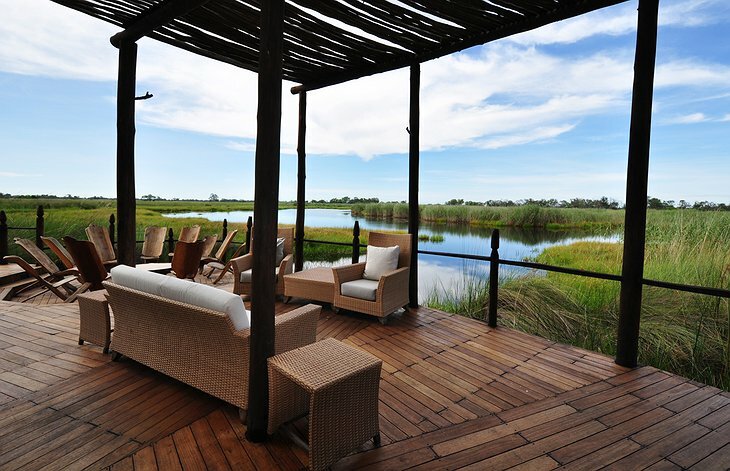 Lie on the papyrus beds on your raised platform and listen to the African sounds of nature as they lull you to sleep. The hotel offers private walking and driving day and night tours as well as an interesting and unique “Living with Elephants” activity where you can walk with a herd of elephants. You can enjoy nature and see elephants, lions, hyenas, flamingoes, giraffes, and so much more. 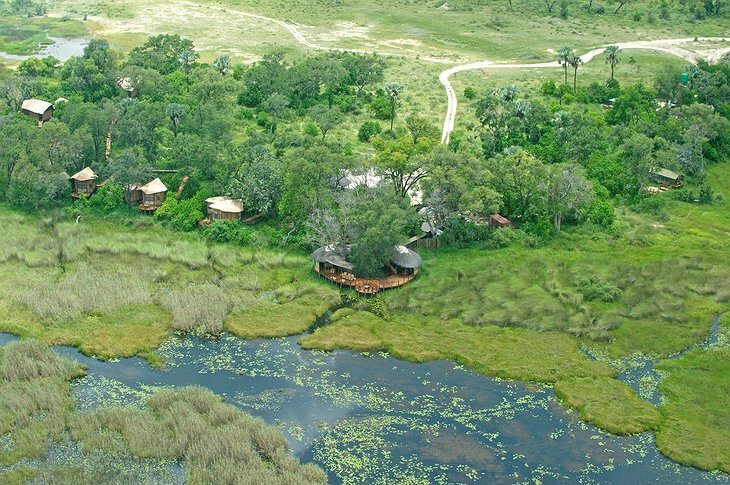 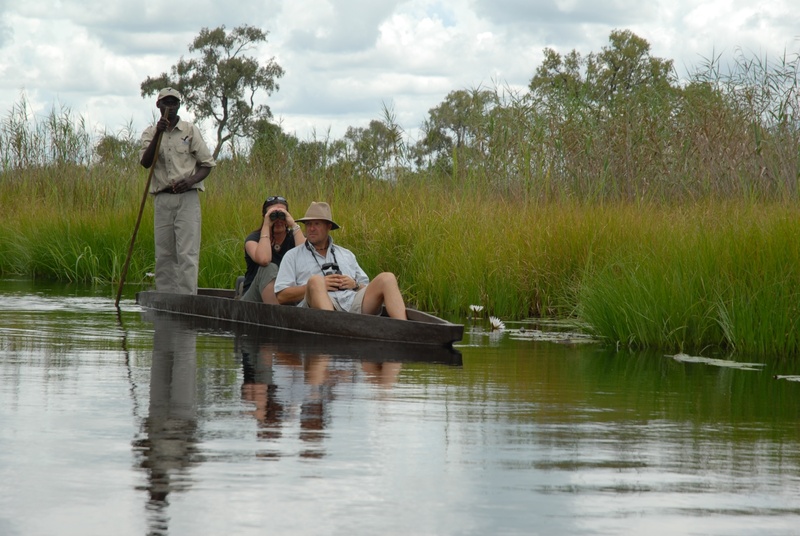 In addition to this exciting experience, you can rest assured that the carbon footprint you leave is minimal because the eco-friendly camp is built from cans collected by and bought from the local community in Maun, a nearby town. 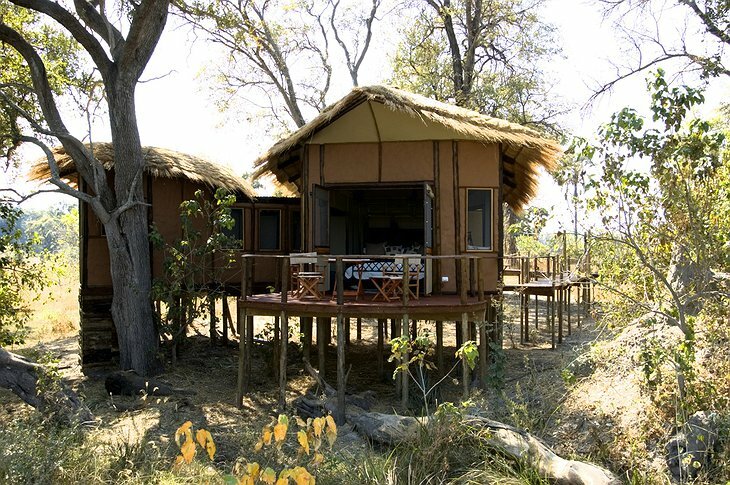 Sanctuary Baines' Camp from Sanctuary Retreats on Vimeo.